ZTE's slimmest phone Nubia My Prague Launched In an event in Europe with 5.2-inch Super Amoled Display and Octa-core Qualcomm Snapdragon 615 processor. ZTE Nubia My Prague dimensions 147.8 x 72.1 x5.5 mm making it the slimmest phone of ZTE. Looking at the Specifications of ZTE Nubia My Prague. It has a 5.2-inch super Amoled Display. it runs Android OS version 5.0 (Lollipop). It powered by Octa-core Qualcomm Snapdragon 615 processor. It comes in two variants 16GB internal memory with 2GB R and 32 GB internal memory with 3 GB RAM. ZTE Nubia My Prague features 13MB rear camera and a 8MP front facing camera. It packs 2200mAh battery. 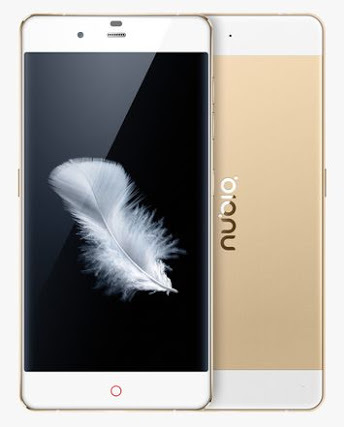 We will be providing ZTE Nubia My Prague full specifications soon.